Wine futures can lock in relatively low prices on desirable vintages. Mostly identified with the Bordeaux region of France, where the tradition was established, wine futures can in fact be used to secure wines from many regions of the world where limited or reserved quantities may be fetched for relatively low prices ahead of any anticipated clamoring for the wine once it is bottled and on the market. Wine futures for the individual consumer-investor do not involve buying wines on an exchange, but rather, purchasing large amounts of specified pre-reserved wines through a system of middlemen. It may be tempting to go for only the lowest priced wine futures you can find, but this can be a risky proposition since you may not see your wine for two years, during which time merchants can go out of business. You may have to pay more for them, but merchants that have been dealing in wine futures for decades are likely to have long-standing relationships with key brokers and a larger selection of the more highly sought wines; they can help you weather the stress and anticipation that comes with the high-stakes and potentially high-risk nature of buying "en primeur," as the wine futures system is often called. It is important to develop a relationship with your wine merchant so that she is aware of your preferences. Advance notice helps to place you early in line so that you do not have to settle for the runt of the litter, although "Decanter" magazine says you may sometimes have to accept lesser wines if you wish to obtain great ones in a shipment. When dealing with Bordeaux futures, becoming familiar with the timing and fanfare of the system can help you when it comes time to actually buy your wine. For three weeks in the spring before wine futures become available, critics and journalists gather to taste samples from the barrels of wine from the previous year's harvest. During this time, a consensus of sorts develops as to which wines are an exceptional vintage. By reading reviews from these tastings, you can get a sense of which wines show promise and which ones you want to acquire. Pay the opening price to your merchant for the wines you want as soon as the offers go on sale through their website. You will not be dealing directly with the chateaux or the negotiants, the latter who are the wine brokers and intermediaries between the chateaux and merchants. Your merchant handles those networks so your job is simply to buy from her. By this point, you will already have heard the commentary and confirmed which chateaux you are interested in. You will buy from what are called tranches, or subsections of a chateau's total production, consisting of 50 cases of wine; once a certain tranche is sold out, another is offered at a higher price. Thus, it helps to act fast. You may not see your purchased wine for up to two years, and even then, you may have to wait until it is ready to drink, which can take up to seven years. During this time, a lot can happen to make your purchase go awry. 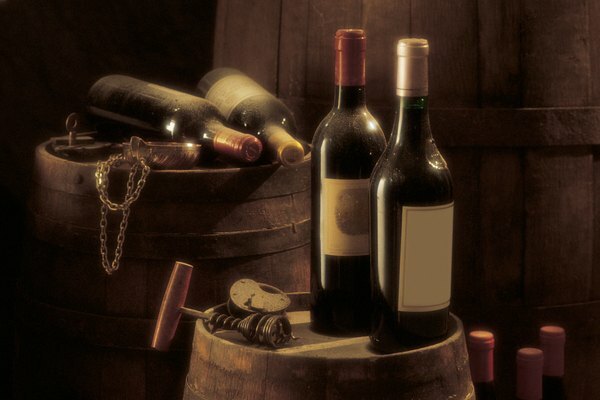 Storing the wine becomes a paramount issue if you want to preserve the vital characteristics of your wine investment. Delivery, too, comes with extra costs that you should factor into your overall expenses. Having acquired the wine, you can now look ahead to the moment when you can capitalize on the purchase. You can profit from having purchased the wine at such a relatively low price in a number of ways. One way would be to sell the physical wine to collectors and other investors upon receipt of the shipment, when the wine is still relatively young and recognized for its attributes; another would be to wait for the wine to age and mature, which for Bordeaux could mean 10 years, when demand for it re-emerges. Wine Spectator: Bordeaux Futures Hit the Market, But Is Anyone Buying? What Are Pork Bellies in the Stock Market?